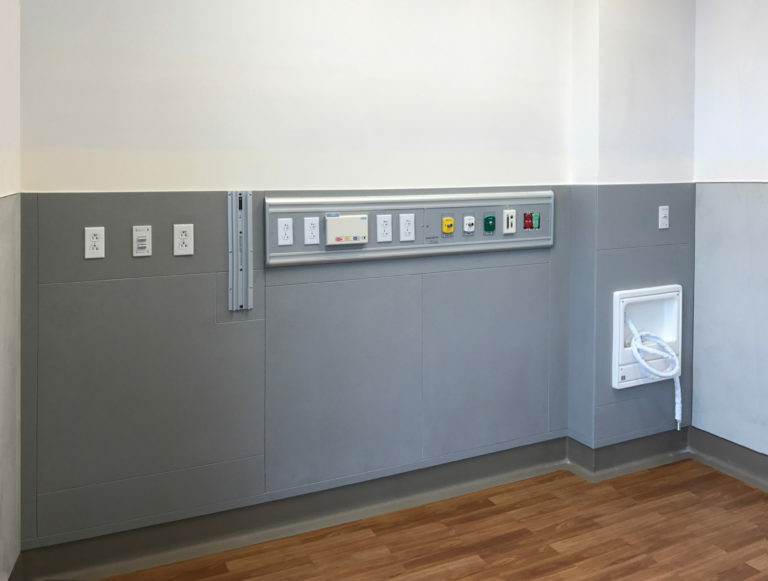 An advanced modular wall system designed to help turn any space into the ultimate sterile, durable and easy to clean environment. Each panel is made from seamless, bleach cleanable Corian®, which is GREENGUARD® certified to resist microbial growth to help reduce HAIs. 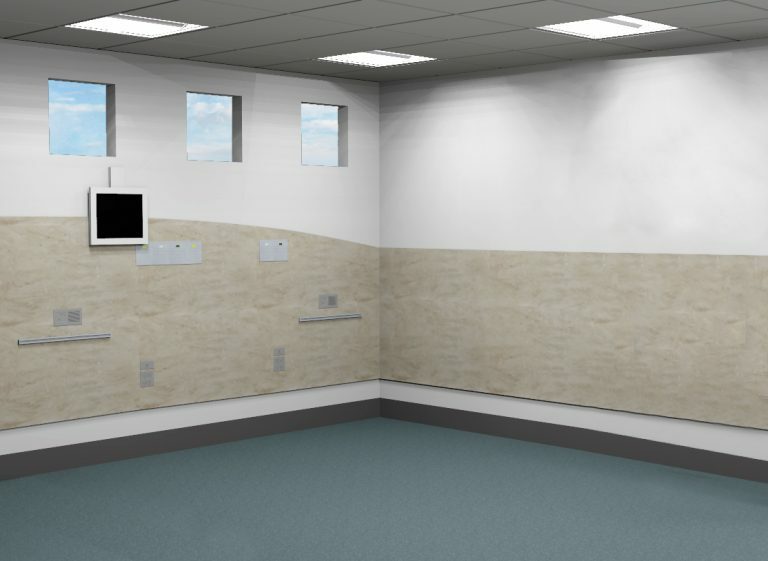 Corian® panels also resist chipping, peeling, scratching and staining for greater life cycle. A metal back plate reinforces each panel for greater impact resistance. Features a patented hanging system for easy panel attachment and removal and interlocking lap joint panel edges to prevent liquid penetration. Available in standard or custom panel sizes, colors and finishes to suit any wall space or design scheme. Can also incorporate services, technology, branding and wayfinding.